The Birmingham Division, largest of the 10 Buffalo Rock Divisions, presently services 5 counties surrounding the greater Birmingham metro area. 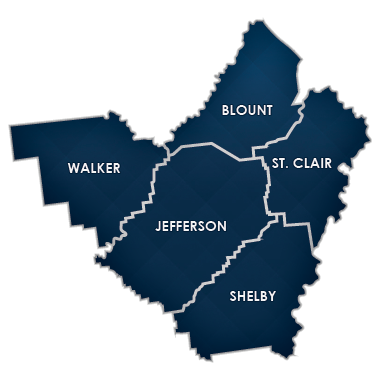 Those counties are Jefferson, Walker, Shelby and a portion of St. Clair and Blount. 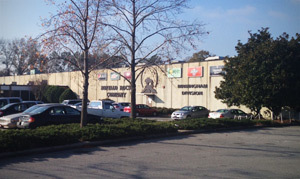 Originally, the Buffalo Rock Corporation began its long career as the Alabama Grocery Company operating for many years under that name. However, in 1907 two important occurrences took place that would later define the direction of Buffalo Rock. First, in 1907 the first Pepsi-Cola franchise opened for operation in Birmingham by Joseph Trull, where the residents of the Birmingham market were introduced to Pepsi Cola as a sustainable beverage available on a daily basis. In addition, in 1907 the Alabama Grocery Company suffered some business setbacks that provided the way for the Buffalo Rock Ginger Ale product to step to the forefront as the leading product in the business. This change in economic force of the day allowed the Lee family to take the first steps toward becoming the beverage bottling company that it is today. Due to the success of the ginger ale product, The Lee family built their first full scale bottling operation on Twenty Sixth Street North in downtown Birmingham in 1922. Soon after, the Lee family changed the name of the company from Alabama Grocery Company to the Buffalo Rock Company. In 1951, the Buffalo Rock Company negotiated the franchise rights to Pepsi-Cola and associated brands, Buffalo Rock’s first alignment with the Pepsi-Cola Company. Later, in 1961, Buffalo Rock purchased the franchise rights to Dr Pepper for the Birmingham market area, also making this new franchise its first alignment with the Dr Pepper Company. In 1963, Buffalo Rock added a new brand to the Birmingham operation by purchasing the Mountain Dew Franchise rights for this market. In 1966, Buffalo Rock relocated the bottling operations from the Twenty-Sixth Street location to its present site on 111 Oxmoor Road. From 1968 to the present, Buffalo Rock Birmingham Division has continued to add new products and new markets to our operation. And although its humble beginnings, the Birmingham Division now markets the following products in our market area; Pepsi-Cola, Mountain Dew, Sierra Mist, Mug, Brisk, Lipton, Dr Pepper, Sunkist, Sobe, Tropicanna, Kraft, Maxwell House and Aquafina. During the late 1970’s Birmingham entered into a new business extension – Full Line Vending. Through this new venue, Birmingham now markets a full array of snacks, juices, isotonics, sandwiches, office coffee service and five gallon water, through our vending operations. We also offer fund raising opportunities through our special event department utilizing drink sales for schools, churches, athletic parks and youth organizations. The Birmingham team of over 320 dedicated employees has long held customer service, quality products and customer commitment as our top priorities in conducting our daily business. It is our goal to ensure satisfaction to all our retail partners and market consumers. It is our privilege to service our community and consumers.